The JEO instructed the Engineering officials to apply white cool cem paint in all the places where pilgrim movement is heavy and arrange necessary shelter to overcome the scorching temperatures. 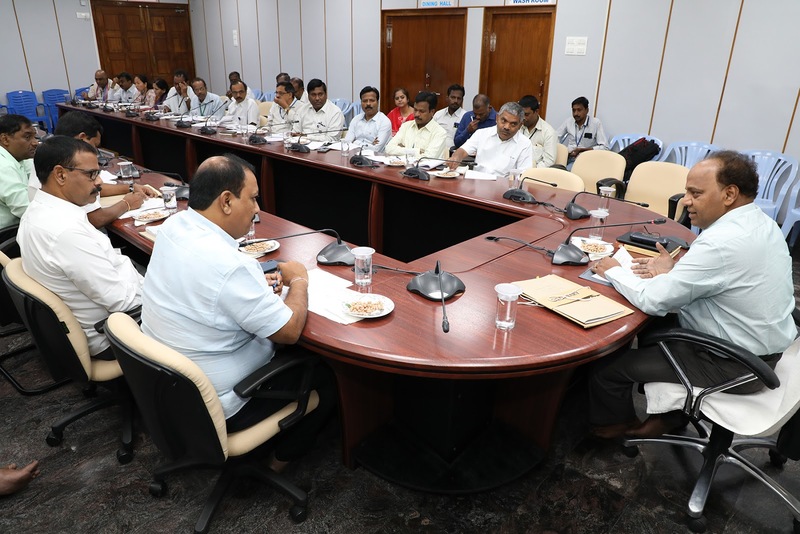 He also directed them to provide umbrellas in all vital service points where Srivari Seva volunteers render service viz.in four Mada streets, outside queue lines in Narayanagiri Gardens, etc. The JEO also instructed them to erect No Parking Boards wherever necessary in consultation with the Vigilance and Security wing officials. 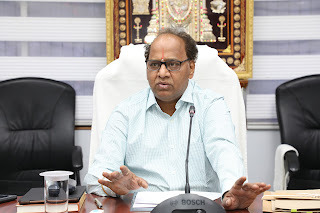 About 3500 Srivari Sevakulu and 500 Scouts will be invited for pilgrim service. He instructed concerned HoDs to deploy a sufficient number of Srivari Seva Volunteers and Scouts to offer services to the pilgrims who throng Tirumala during the peak summer season. 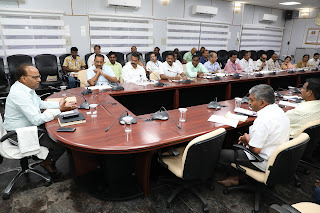 The JEO also asked the officials concerned to ensure that the Pilgrim Welfare Facilitation Service (PWFS) which was introduced on a trial basis recently in Vaikuntham compartments should function in an efficient way and directed the departments including Annaprasadam, Health, Medical, Electrical and Security to attend to the calls to resolve the issues with immediate effect in compartments.